Research shows that over three quarters of travellers would prefer to be luggage free for the day of their flight, which is why easyJet and AirPortr have partnered to provide this service allowing travellers start their trips at home. 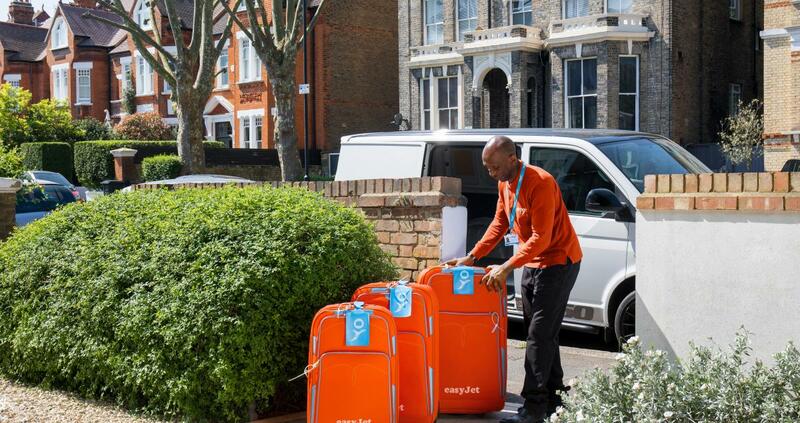 AirPortr will pick up luggage from the passenger’s doorstep, and safely deliver it to easyJet’s bag drop before it is flown to one of the airline’s 110 destinations from Gatwick. Customers can then collect their baggage at their destinations baggage reclaim. Since 2016, AirPortr have collected over 69,000 bags, skis and bikes which have been checked-in and delivered to more than 320 destination airport baggage reclaims around the world. easyJet is confident this new service will help make travelling even easier for its passengers. “We are excited to be introducing AirPortr’s services to our passengers, starting with Gatwick services. Whether a flight is for business or leisure, we are confident the home bag drop service is a fantastic initiative to improve a traveller’s experience. “easyJet is proud to continue to develop our product offering with innovative companies such as AirPortr"
“Particularly when flying short-haul with hold luggage, a disproportionate amount of journey time can be spent on the ground getting to and through the airport. We’re delighted to work with easyJet to overcome this, starting their passengers’ journey at home, saving valuable time and providing hassle free travel, all at an affordable price. “With easyJet’s reputation for leading digital innovation, we will see the service integrated into the customer journey in new ways, such as being offered alongside great baggage fares when booking a flight. easyJet flies on more of Europe’s most popular routes than any other airline. easyJet carries over 83 million passengers annually, of which more than 13 million are travelling on business. easyJet flies 308 aircraft on more than 1000 routes to 154 airports across 33 countries. More than 300 million Europeans live within one hour’s drive of an easyJet airport. AirPortr is the digital service leading a movement to change the way people travel to, and through, the airport. It enables thousands of passengers to experience bag-less, stress-free travel every month. Founded in 2014, the company set-out to address one of the few aspects of our lives that hasn’t been improved by technology and innovation and accordingly, in 2016, AirPortr launched the world’s first fully integrated home bag check-in service with British Airways. Customers are greeted by professional and friendly drivers who collect their bags from any location within the London service area. This then allows them to travel bag-free to the airport, skip the queues, and head straight to security, collecting their bags in the normal way at their destination. AirPortr uses powerful, innovative technology to manage the service and customer experience from end-to-end. This includes fully complying with all airline policies and government regulations, including the validation of boarding passes and IDs in real-time. Unique tamper-aware seals ensure the highest levels of security throughout the process. Since 2016, AirPortr has transported over 69,000 bags, skis and bikes to more than 320 destination airport baggage reclaims around the world, achieving an average customer rating of 4.7 stars on Feefo. More recently, American Airlines, easyJet and Finnair have joined the AirPortr digital platform in London, opening up the service to even more passengers.